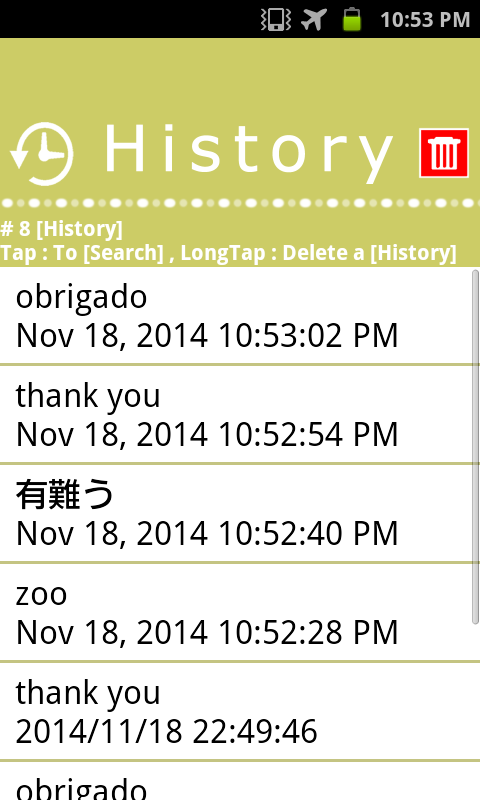 This is free Portuguese Japanese English word dictionary. Recording words are total 45,300. 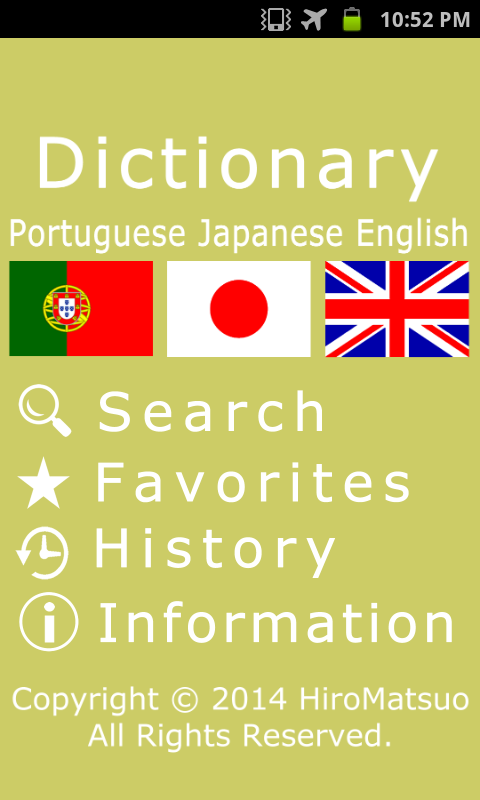 Portuguese Japanese English word dictionary has following three functions. 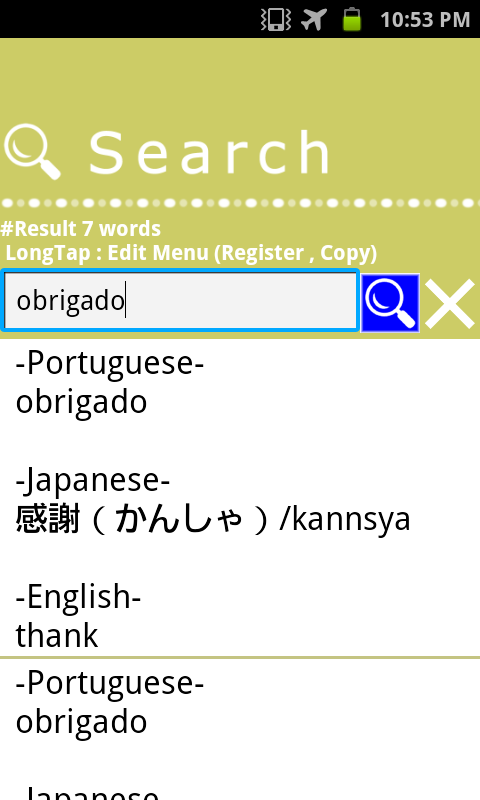 Portuguese Japanese English word dictionary Supports from AndroidOS2.3.3 to AndroidOS4.4.